While the cat's away the mice will play .... hubby has gone away overnight for work and this morning I have sat down, had a play and made a card. I am loving the new Flower Patch set from Stampin' Up! with it's matching framelits, the framelits just make card creating and scrapbooking so much easier and quicker. Amazingly I created this card in a little over an hour. Pinterest is just so wonderful for inspiration, go to Pinterest.com to join, you will love it. You can see a card and be inspired and then put your own slant on it, which is what I have done this morning. Actually my card has ended up looking nothing like the original, if you compare them both, you will see that I have basically just used the layout of the other card sort of like a sketch. 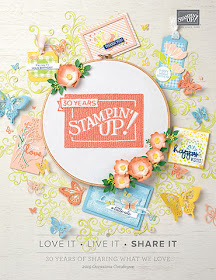 Stamp sets that I used were all from Stampin' Up! .. Flower Patch, Work of Art and Amazing Birthday. Colours were Whisper White, Crushed Curry, Pistachio Pudding and Coastal Cabana. I have used the Starburst and Flower Fair Frametlis. You will notice some pretty coloured Rhinestone Jewels .. they were coloured using the new Coastal Cabana Stampin' Blendabilities ... pretty ... I love them! The twine was a freebie from Sale-a-bration and the embossing folder is the new Large Polka Dots folder .. lots of element on my card. Okay if you are inspired by my card, please feel free to case .. but you will need the SU goodies to create it. Contact me to place your order, I'm always here to help. Don't you love it when BIG opportunities come your way! 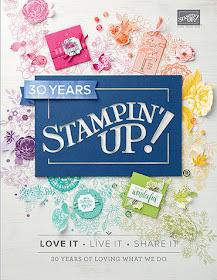 That's why Stampin' Up! are giving you the chance to receive one of five free stamp set/framelits bundles below (your choice!) with the purchase of a Big Shot machine. And if you get a Big Shot now, you'll be ready for all the new Big Shot accessories in the holiday catalogue. If you already own a Big Shot, you can still purchase these discounted bundles at an amazing 15% off! This is one deal you won't want to miss ... only available from 1-31 August ... as these bundles are one-time only exclusives. 1) Buy a Big Shot and get a free bundle below. 2) Buy a discounted bundle below at a 15% discount. So now's the time if you don't own a big shot, to invest in this fabulous machine and you will receive any one of the free bundles above .... your choice. Contact me to place your order, if possible by 7pm Wednesday August 6th. Such exciting news with the new Catalog just around the corner. 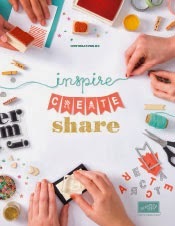 Just imagine a new Idea Book full of new stamps and accessories and also lots of exciting ideas. In this catalog there is a gorgeous new stamp set called "Work of Art". As a demonstrator, I am lucky enough to be able to pre-purchase some of the new goodies and to that end I get to play before you :). So time to share a couple of cards that I have created using the new "Work of Art" set. This first card I created using Pink Pirouette, Sahara Sand, Always Artichoke and Soft Suede ink pads. I chose these colours using the Stampin' Up! Colour Coach which makes colour choice so much easier when creating your projects. I have also used the fabulous Gorgeous Grunge stamp set to create the splatter background and the Petite Petals stamp set and punch was used to create the cute little flower. The label that surrounds the sentiment is from the Apothecary Accents framelits set. On this second card, I have used Calypso Coral, Tangerine Tango, Gumball Green, Daffodil Delight and Soft Suede ink pads. All images were created with Work of Art stamp set and I have used Linen Thread and the Ticket Punch to create the little "THANK" above the "You". 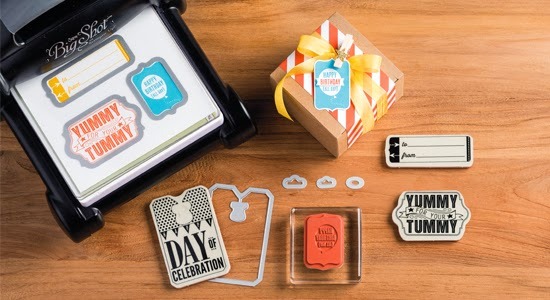 The Work of Art stamp set will be available from July 1st. Recently a friend showed me how to make this Building Block card that is quite popular at the moment. It is more suited to children's cards I think but I'm very happy with my attempt turned out. 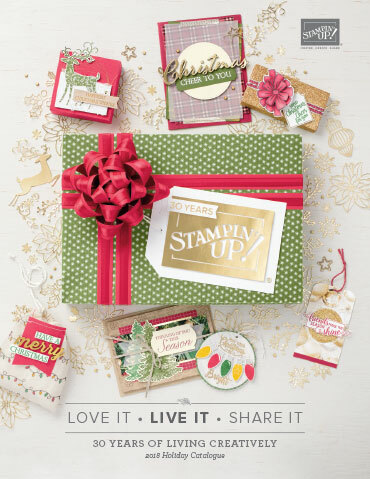 All papers and card are products from Stampin' Up! I have used Sahara Sand, Whisper White and Pistachio Pudding cardstock to compliment the papers from Sweet Sorbet Designers Series Paper available for FREE when you place an order over $90.00 during the Sale-a-bration period. The Ruffle Stretch Trim is also Pistachio Pudding; all other products are non SU. Enjoy and as usual you can contact me to place an order or click on the link below. I have been a very bad girl! I do not know where all those months have gone but I have been busy leading a quiet life ... well not too quiet ... looking after my family and ME! During this time I haven't been too creative, as you can see by the lack of posts, but I did manage to do one Christmas Class but not much else. I am going to post a couple of photos of some of my Christmas Projects that I have made during this time but just photos ... no descriptions. If you want to know more just contact me. That's just a sampling of the cards I made. I hope you have enjoyed looking at them.